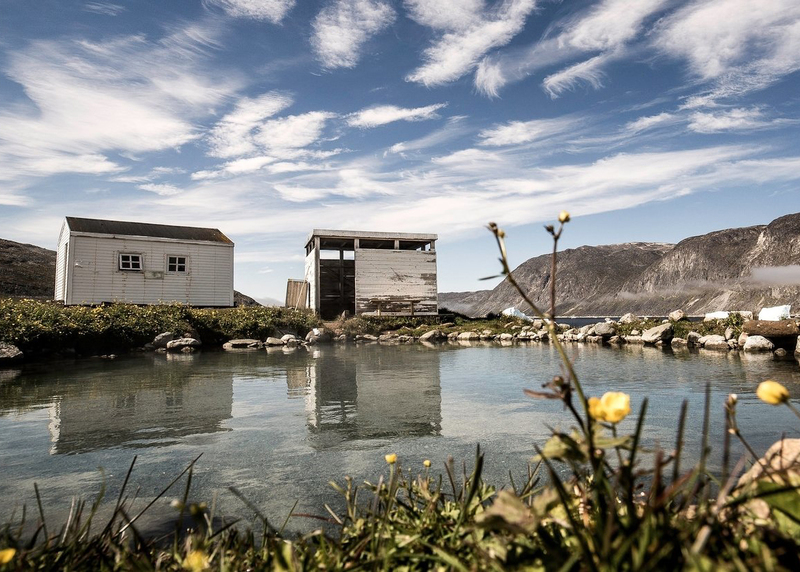 Your adventure starts, when you and your fellow explorers venture of out Nanortalik Habor. You will travel away from Nanortaliks raw, naked and steep mountains to the fruitful and virgorous arctic tundra, the south is known for. On your journey to Uunartoq island, you will be accompanied by humpback whales playing hide and seek between the waves and the arctic winds. Stand on deck or sit in the heated salon, with a panorama view – no matter what you choose, you are promised spectacular views and wonders of the arctic. After an hour of sailing, you will arrive at Uunartoq island. The island lies remote and alone, surrounded only by spectacular mountainsides, icebergs in all sizes and shapes and travelling humpback whales. When going a shore, you will walk through the wilderness and follow a small unmarked path, leading to the hot springs. Sit in the warm waters, while enjoying a sparkling glass of something good! Uunartoq Island was never inhabited, due to ancient Inuit tales. The Inuits said that the island was haunted, as ghosts would appear in the fog, that over laid the island from time to time. But today, the only haunting that takes place on the island – is its beauty. Furthermore the baths was used by the Norsemen, to heal diseases and combat wounds. Boat Type: Closed and heated but warm clothing is recommended. Included: Boat Transportation from Nanortalik. Coffee and Tea are served. Do you have any questions about our Uunartoq Hot Spring Tour?